Elizabeth Fitzpatrick, PhD, Aud(C), professor at the University of Ottawa, works at her computer. 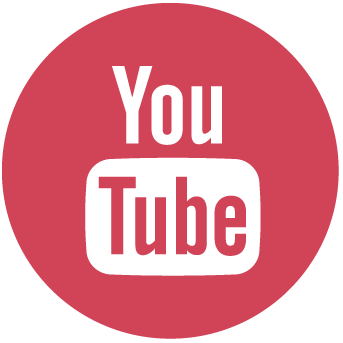 The In Focus series brings you information about lesser-known areas of the professions. If there is a focus you'd like to see featured in a future issue, send your suggestion to Felicity Feinman, SAC's Communications Assistant, at felicity@sac-oac.ca. Andrea MacLeod, PhD, grew up in an area of Ontario where many children are raised to speak both English and French. When she started studying speech-language pathology, she realized that there was a lack of research into language development for bilingual children. This motivated her to pursue a career in research. Today, Dr. MacLeod is an associate professor at the Université de Montréal. "It's a very rewarding job," she says. Dr. MacLeod is also SAC's Director-University. While Dr. MacLeod fell in love with research from the outset, the transition to academia was a bit slower for Elizabeth Fitzpatrick, PhD, Aud(C). 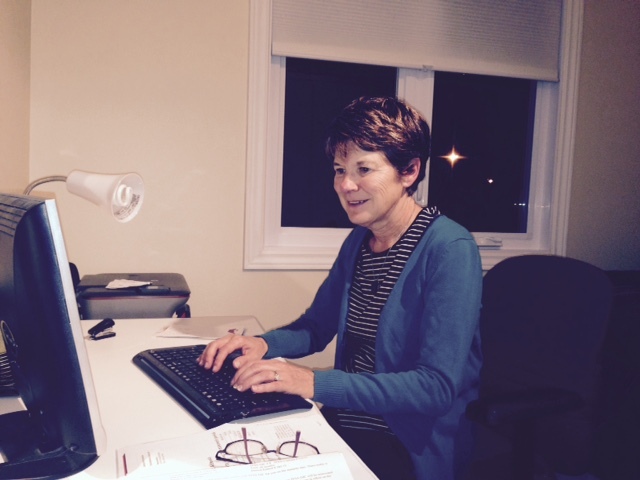 Dr. Fitzpatrick worked as a clinical audiologist for 20 years. 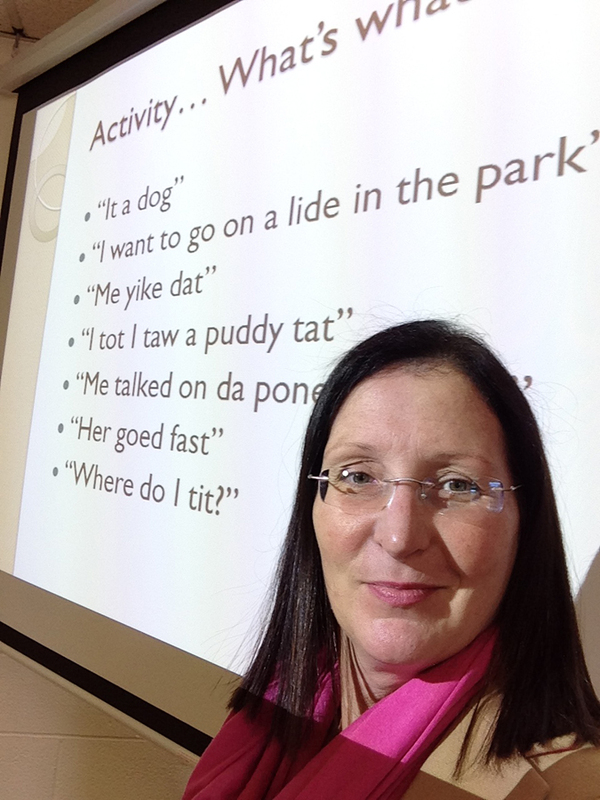 "I was invited to teach at the University of Moncton and University of Ottawa and I found myself not only enjoying the interaction with colleagues outside the clinic but also learning so much in preparing my courses," Dr. Fitzpatrick says, "At the University of Moncton, I taught several courses in audiology and education to specialized teachers of the deaf and hard of hearing, who were just so keen to enhance their knowledge and skills. It was motivating and very gratifying." Dr. Fitzpatrick is now an associate professor at the University of Ottawa. She is also the Editor of SAC's peer-reviewed journal, the Canadian Journal of Speech-Language Pathology and Audiology. Both Dr. MacLeod and Dr. Fitzpatrick chose to work in academia full time. However, some people prefer to balance the clinic, the classroom and the lab. Elizabeth Maga, MA, M.Sc., S-LP(C), works full time coordinating the Communicative Disorders Assistant program at Durham College in Oshawa, Ontario while also managing her own private practice in the evening and on weekends. "It can get very busy at times," says Ms. Maga, "I do really love the clinical component though — seeing clients for assessments and therapy really keeps me on my toes and keeps me current in the field!" Elizabeth Maga, MA, M.Sc., S-LP(C) in front of one of her lecture slides. Deciding to join the program at Durham College was a difficult choice for Ms. Maga. "It was hard at first to think that I wouldn’t be helping clients all day long, like I was so used to doing, but now, through teaching my students each year, I like to think I am contributing to helping many more clients by teaching my students how to help their future clients!" Dr. Fitzpatrick finds that teaching helps her stay up-to-date on the world of clinical audiology. "I try to stay connected to clinical work to bring concrete examples into the classroom to enhance the students’ learning," Dr. Fitzpatrick says, "It forces me to broaden my learning and to expand beyond my own specific research program. I also love being able to share my own research findings with my students. I think it makes my research more meaningful when I can transfer even little tidbits of what I’ve learned to the new generation of clinicians." Dr. MacLeod agrees. "Teaching allows you to keep up with the forefront of what’s new and exchange information with students. They always come to class with new ideas and clinical experiences they’ve had," she says, "There’s a perception that we’re in an ivory tower but we’re not. Speech pathology programs and people that do research are actually quite close with the clinical community. There are a lot of opportunities for exchanges." 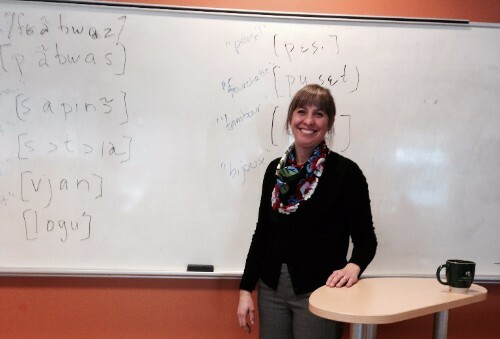 Andrea MacLeod, PhD, in the classroom. All three professors find that when you work in academia, no one day is exactly like the next. Dr. MacLeod says that during the school year, she typically spends her days teaching, grading, attending meetings, coordinating studies and reading journal articles to try to stay abreast of the latest research. Dr. Fitzpatrick spends about three days a week teaching and two days a week on research. When Ms. Maga is not at her practice, she typically teaches one three-hour class a day, then spends the rest of the day marking tests and responding to emails from students. For Dr. Fitzpatrick, this flexibility is one of the benefits of working as a professor. "Academia is the best of all worlds most of the time as it provides you the opportunity to design a career around your interests in teaching and/or research and to really explore topics in depth," she says "However, be prepared to invest many hours while you're in the early years of a faculty position. The years before tenure can be quite demanding while focusing on publishing and landing those first grants. Once you're established in your career, your job is mostly yours to design and offers a wonderful variety. You get to decide how much you want to focus on teaching, research, administration or community involvement." SAC Conference – Halifax, N.S. World Congress of Audiology - Vancouver, B.C. Did you know that SAC student associates get a discount on conference fees? Join us for our biennial conference in Halifax, N.S. from April 27 to April 30. Watch out for the PD Bulletin next week, which will launch conference registration. You can learn more about the conference program on our conference website. 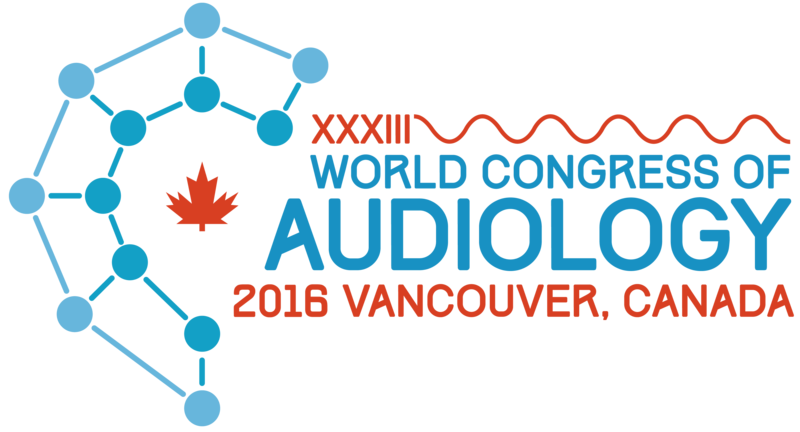 SAC is proud to be co-hosting, with the Canadian Academy of Audiology, the 33rd World Congress of Audiology (WCA) in Vancouver, British Columbia from September 18 to September 22, 2016. Have you moved recently? Got a new email address? Don't forget to update your contact information with SAC. 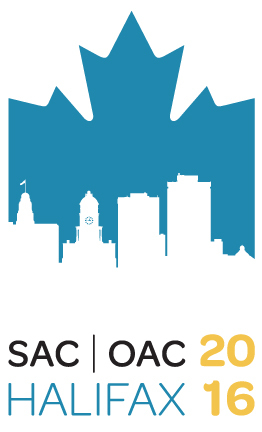 Login at www.sacmembership.ca and click on 'Profile Edit' in the left-hand menu. Every Friday, we publish This Week in the News, a summary of the top speech-language pathology and audiology-related stories from the previous week. To stay up-to-date on the latest news from the professions, click here to subscribe to this newsletter. If you think working in academia might be right for you, Dr. MacLeod has one piece of advice: go for it! "There’s a need. I think it’s really important that professors in speech-language pathology departments and people doing clinical training are speech-language pathologists. That really allows us to take ownership of our profession," Dr. MacLeod says. If you're interested in pursuing a PhD in communication health, check out the list of Canadian universities offering speech-language pathology and audiology programs on our website. Megan Kondrackyj, M.Cl.Sc., R.SLP, S-LP(C) and Alexander Colquhoun, M.Sc., Aud(C) were the recipients of the SAC's 2015 National Clinical Certification Exam Awards. Ms. Kondrackyj and Mr. Colquhoun had the highest marks on the speech-language pathology and audiology clinical certification exams, respectively, for the 2014 calendar year. 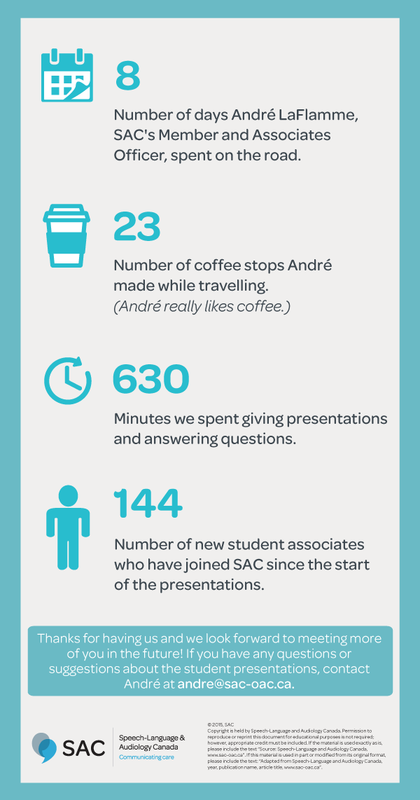 We got in touch with them to see what their first year of clinical practice has been like. Ms. Kondrackyj is working in acute care at the Foothills Medical Centre in Calgary, Alta. and Mr. Colquhoun is working at the Upper River Valley Hospital in Woodstock, N.B. Megan Kondrackyj (MK): I enjoy the variety. There's always something new to learn, a challenging case to work on and/or new techniques and supports to try. Also, I love that I get to develop a connection with clients and their families as they work on their communication goals. It is so satisfying to see meaningful change! Alexander Colquhoun (AC): My favorite thing about being an audiologist is the time spent talking with or counselling patients. Although I’m able to help people manage their hearing loss, which is rewarding, getting to meet and know so many different people is just fun. This is especially true of patients and families I see on a regular basis (e.g., children with hearing loss). What surprised you most about working as a speech-language pathologist or audiologist? MK: I was surprised how fast a client's presentation can change in a short period of time — for better or for worse. Additionally, I found it interesting to see how the role of a speech-language pathologist can vary so greatly on a team depending on the service model and the resources available. AC: There was nothing surprising about audiology pertaining to the job, although I think I appreciate how many different areas there are to work within audiology more than when I was a student. Whether you’re interested in cochlear implants, bone-anchored hearing devices, auditory processing or newborn hearing screenings, (to name a few) there are lots of opportunities for interests and work within the realm of hearing. To learn more about Mr. Colquhoun and Ms. Kondrackyj, read the full Q&A on our blog. 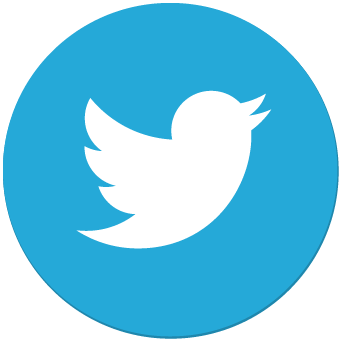 Check out what's been trending for #slpeeps and #audpeeps lately! 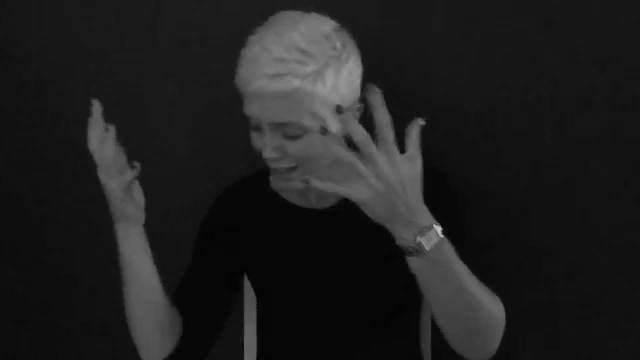 This Adele cover by Molly Bartholemew says “hello” in American Sign Language. Bartholemew has also covered songs by Taylor Swift, Meghan Trainor, Jason Derulo and more. 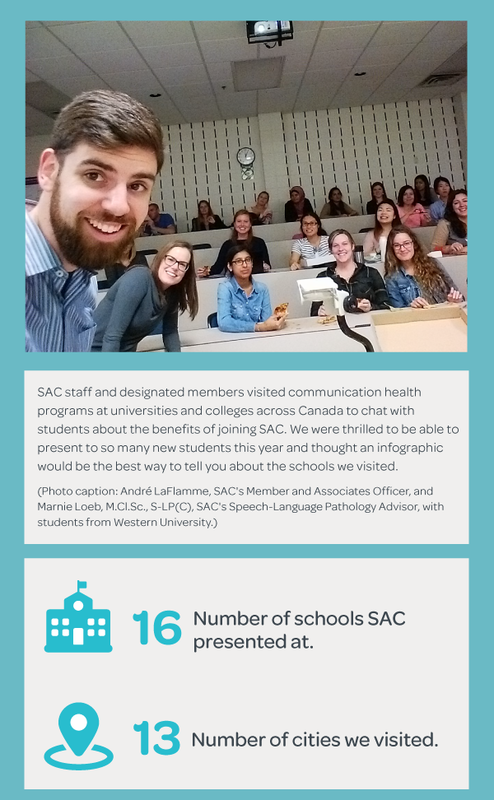 Follow SAC on Facebook to get weekly updates on the biggest communication health news of the week. 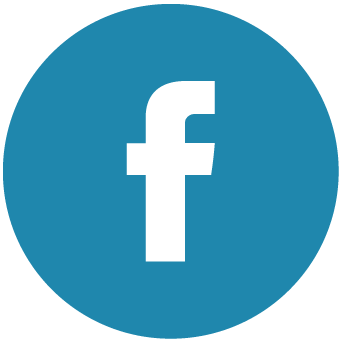 Copyright © 2015 SAC | OAC, All rights reserved.